It is sweater weather now y’all! I love this sweater! It is so cozy! It is like wearing my PJ’s in the street. 🙂 This sweater is so warm I love it! It is something you can throw over a simple T-shirt and a cute pair of shoes… done. Those are my favorite type of outfits, quick and just thrown together. I found this lovely sweater at Burlington’s. We are about halfway through the summer at this point. One thing I think is really important pertaining to the summer is protecting our skin from the sun. 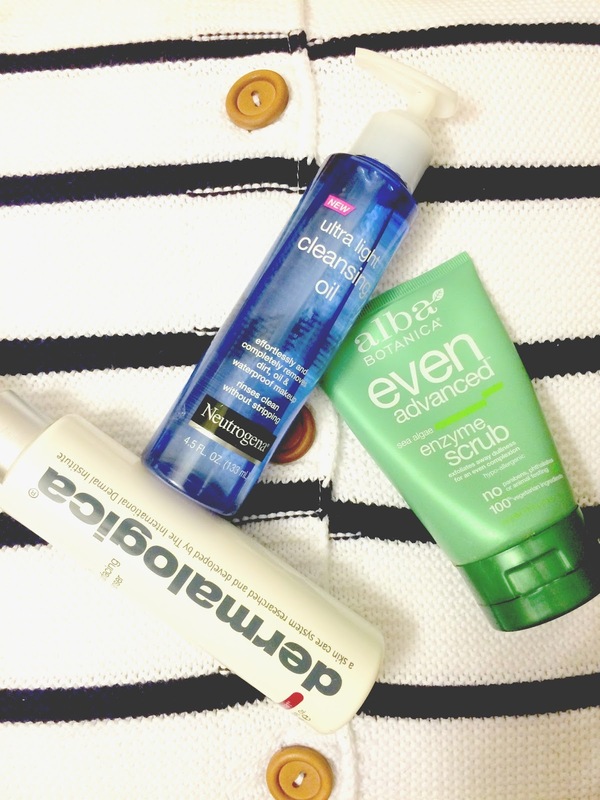 I am a huge skin care junkie; yes, I admit it. The skin is our largest organ and we have to take care of it. We always hear, take care of your skin when you are young or you will regret it later. I live by this motto. 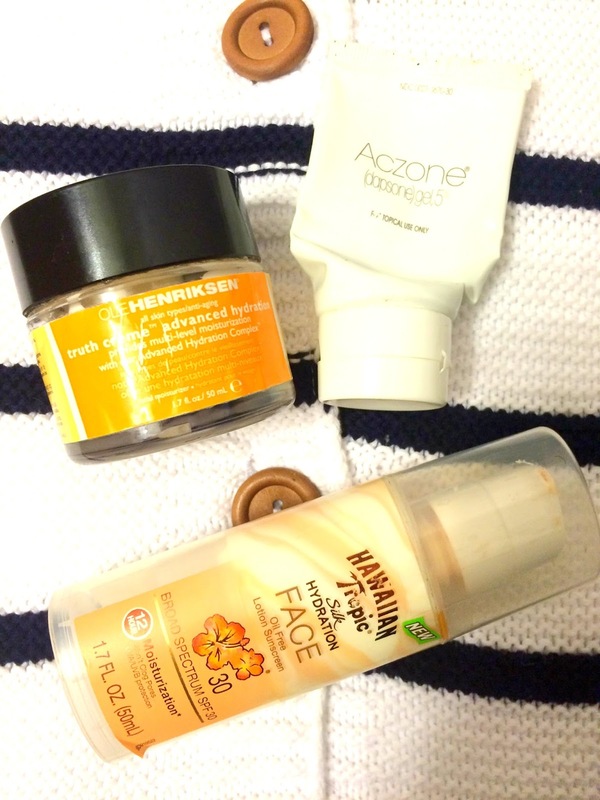 Today I will be sharing with you the sunscreens I use on a daily basis, as well as when I am spending the day outside. 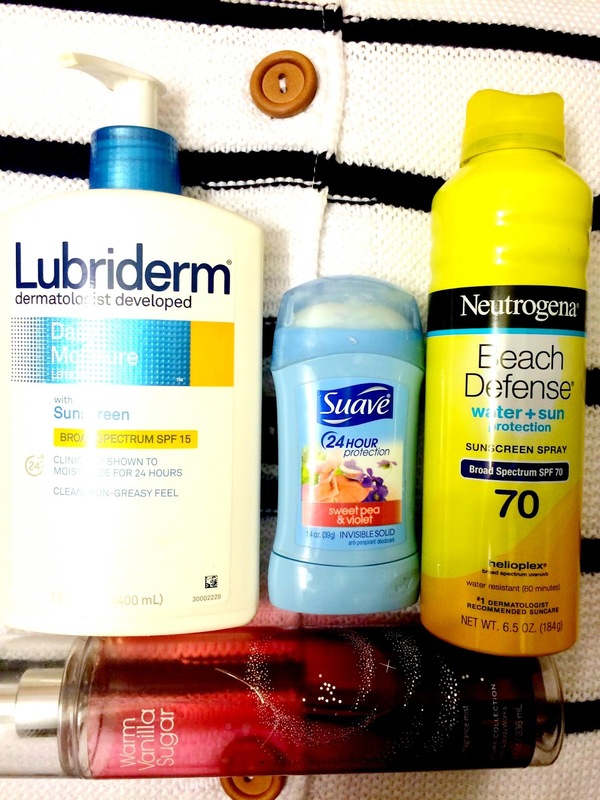 Daily Lotion: In the summer I opt for a lotion with SPF, such as Lubriderm Daily Moisture Lotion with SPF 15. Just to give me a light layer of protection in my daily activities. I started using this lotion for the first time this summer and I actually like it a lot. 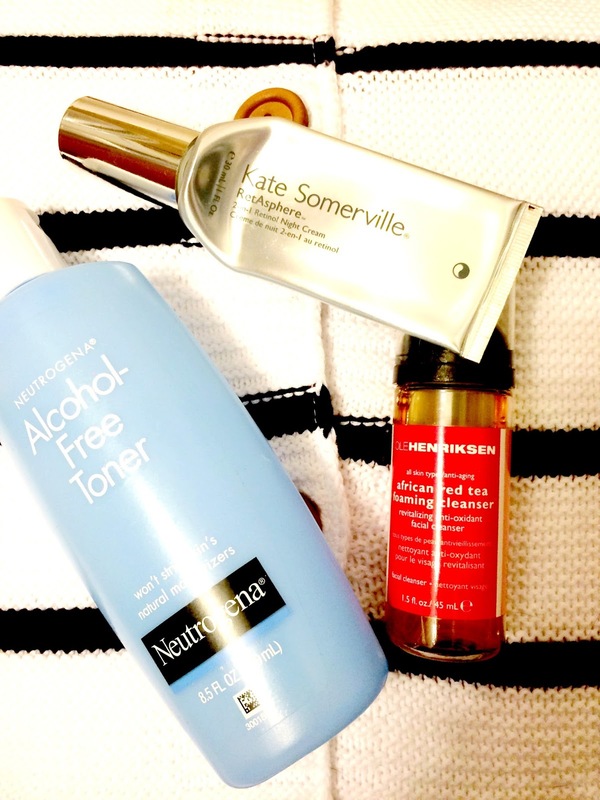 In the past couple of years I would used the Neutrogena Beach Defense Sunscreen Spray. 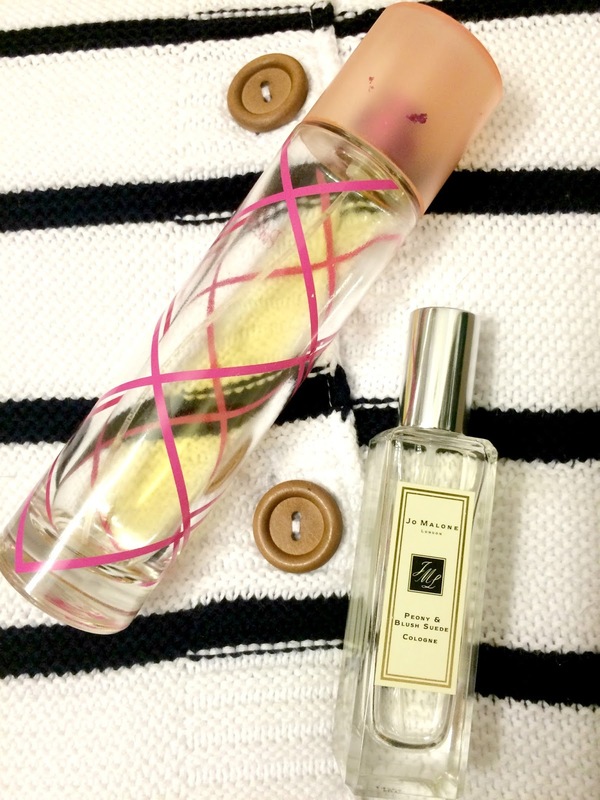 After my shower and before my lotion I would spray this all over, then apply lotion, if you want to see all the products I use check out this post. I find using Lubriderm Daily Moisture Lotion with SPF 15 alone now, which is much easier, just a one stop shop. 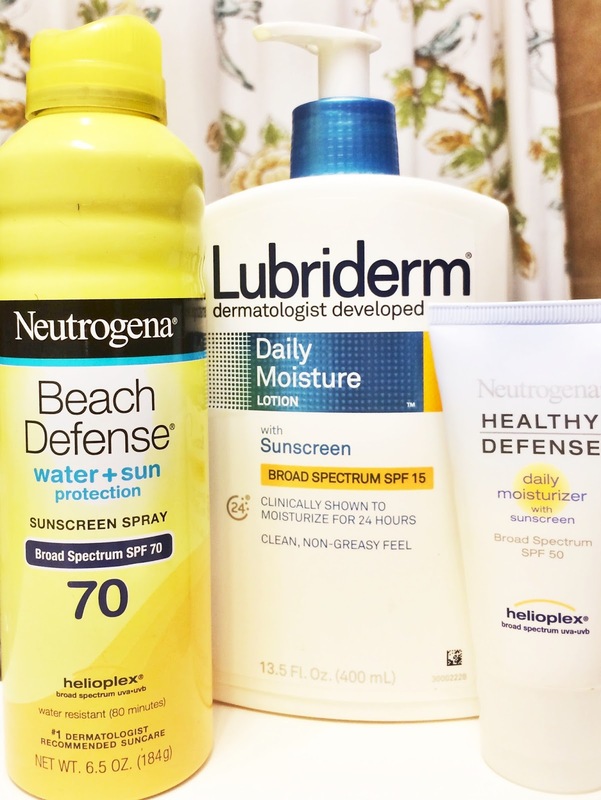 I still use the Neutrogena Beach Defense Sunscreen Spray, but on top of the Lubriderm Daily Moisture Lotion with SPF 15, for extra protection. Face moisturizer: In the summer I increase the SPF for my face, just in case. I wear an SPF year round on my face but in the summer when the sun is closer to the earth, I like to take extra precautions to protect my skin. I have been using the Neutrogena Healthy Defense Moisturizer in SPF 50. I have been using this for about 2 years now, and I always go back to it especially in the summer. (Bonus)Fashion: When you know you are going to be outside, remember to wear your sunglasses to protect your eyes and don’t forget your hat. Hats are so chic, especially when you wear a cute summer dress! I have a lot of examples on my Pinterest! This weekend Frank and I are heading south! We are spending Independence Day in Virginia Beach with my parents. Typically, we just hang around the house, eat, sleep and eat more. No matter why type of vacation I go on I always remember to take time to care for my skin. It is actually one of my favorite things to do. Nonetheless, I wanted to share with you all what I will be bringing in my beauty bag on this short trip to the beach. As you can see, I have changed some things up. Let me know if you all want to see an updated skin care routine. My name is Jazmin Mac and welcome to My Purple Scarf. If you can’t tell I did some updates to my blog. It has been quite a while since I did an actual post, but don’t you worry, there will be more to come. Being honest, I had been focusing on other adventures, while I was working on these other things, I decided I needed to revisit my first love. I have missed you all so much, and thank you for sticking with me. With the relaunch of My Purple Scarf, I wanted to incorporate some new things. For example, I am obsessed with working out (and work out clothes of course) it only seems fitting to add a fitness portion to my blog. I also wanted to incorporate the crazy antics Frank and I go through. I am sure you will love it… he is crazy (I am not, I promise). Overall, I hope you all enjoy the changes and all the new posts that will be coming in the near future. Here is my latest YouTube video, all about shopping on a budget. I’m sure you like shopping, and I’m sure you have goals not involving your closet. If you are on a budget, here are some tips that will help keep you looking stylish with out breaking he bank. I hope you enjoy! Happy New Year!!!! With the new year comes all the new year resolutions! I wanted to share with you all my resolutions… so here we go! Get Fit: I know this is cliche but I am serious. Typically, I go to the gym about once a week. My resolution is to start going three to four times a week. I would like to go back to my training schedule for the wedding or close to it. Post regularly on Youtube and My Purple Scarf: This has been my resolution for the past couple of years. This year I plan to really focus to make my blog as great as it can be. I am really passionate about what I do here and on youtube. I feel like it is time to start applying myself more than what I have been in the past. Keep the House Clean: I have learned that life is so much easier when it is organized. Considering how much I love to wake up in the morning to a clean home, and go to bed to a clean home. I figured I should do what it takes to make those moments achievable. Also, when it is time to clean it’s not an all day activity, because little has been done over time. Journal: Journaling is my favorite way to spend time with God. It gives me the opportunity to get things off my chest, pray for people, and study the bible. I like to use devotional books as well as the bible app when studying the Bible. It’s a great way to express yourself while drawing closer to God. Coming from a person who doesn’t show a lot of outward expression of emotions, writing down how I feel and giving to to God to handle makes life so much easier. 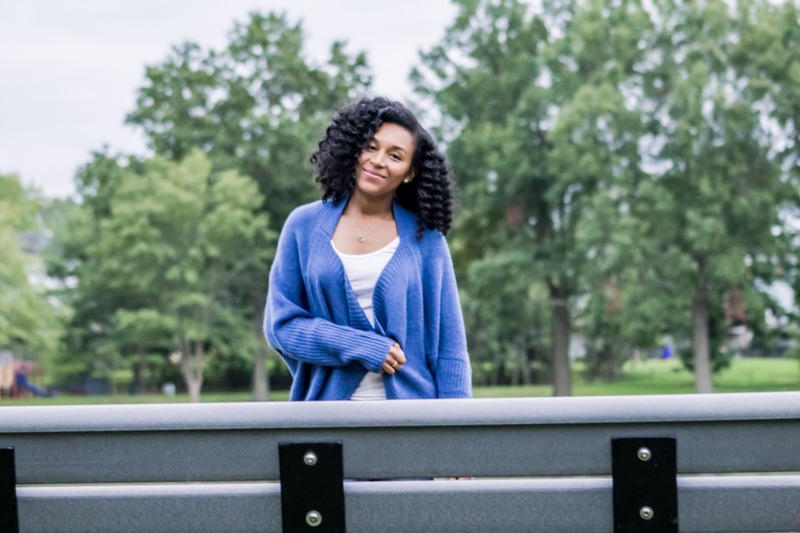 Save More Money: I recently took a finance class at my church and I discovered I was not saving enough to meet my life goals. In the future I want to buy a new home as well as rent my current house. The only way to do that is save save save. Plus I also want to have the recommend six months of living expenses (not just bills) in saving before I even think about buying a new house. I ‘m so glad to be here, and guess what friends, I’m back. I hope you all enjoyed your holiday’s and did something fun to bring in the new year, leave me a comment telling me how you celebrated? I would love to hear how other people decided to bring in the new year. Now that we are in the new year, I have decided to make a few changes here on My Purple Scarf to make life more fun, stay tuned for updates. I hope your 2016 will be as amazing as 2015!